Bloomsbury USA Childrens, 9781599907901, 240pp. Ladies and Gentleman, Boys and Girls, Children of All Ages... Just as the Quirk family was settling into Normal... Ta da! The circus comes to town! 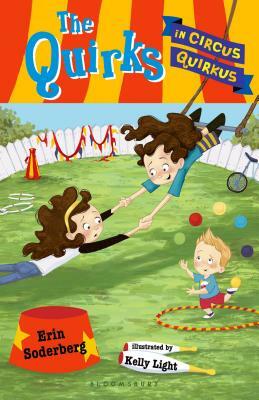 At school, Molly, Penelope, and Finn are all learning circus skills in gym class. At home, they are putting similar skills to good use; it takes fancy footwork and stellar detective work to keep their nosy neighbor from snooping around and uncovering the Quirk family secrets. Each day in their new town makes one thing very clear: Life in Normal is a high-flying adventure! ERIN SODERBERG has written a Candy Apple for Scholastic, some Romantic Comedies for Pulse, and an upcoming edgy YA stand alone. She's also a brand-manager for Nickelodeon. Erin lives in Minneapolis, Minnesota.